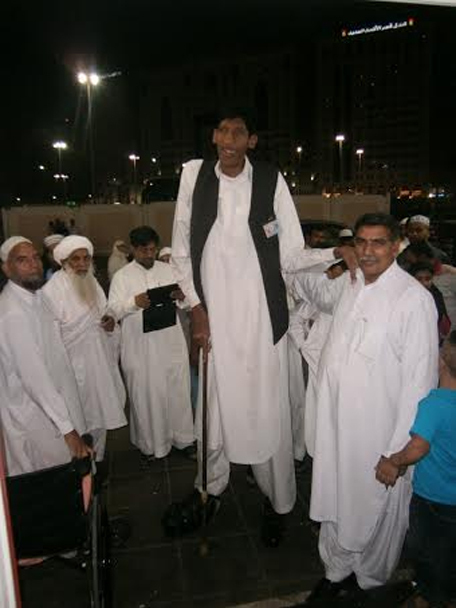 The world’s tallest and the shortest men are in Saudi Arabia to perform Umrah (mini pilgrimage) and both of them said they are still looking for a wife. Ajaz Ahmed, 38, is around 2.54 metres, the tallest person on earth, while Qamar Ali, 30, is just under one metre tall, nearly 95 cm. The two men travelled to Saudi Arabia together to perform Umrah in the western towns of Makkah and Madinah and their presence together attracted a large crowd. Ahmed, who was seen limping with a stick, said he broke his leg while performing Umrah in Saudi Arabia a few years ago. 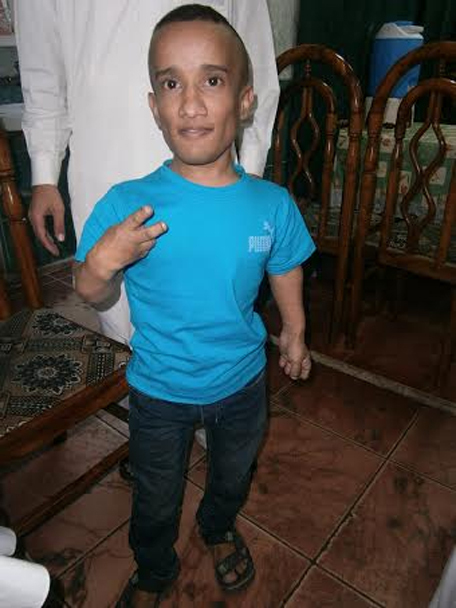 “Ahmed said he is still searching for a wife but that his wish has not been achieved yet. He said he is sad because he has not been listed in Guinness (book of records),” the Saudi Arabic language daily Sabq said.